Shanghai, April 16: UAS International Trip Support and Honeywell are joining forces to provide global connectivity to the business jet fleet of leading Asia Pacific business aviation charter and management group Hongkong Jet with the implementation of UAS LinkEvolution™ for flight services and communication combined with Honeywell GoDirect cabin services for passenger connectivity. The agreement will be formalised at a signing ceremony on the opening day of ABACE 2019 on Tuesday April 16th at 2 pm - on UAS booth A123. The benefits of using this communications technology include a s ingle-vendor solution for the entire fleet; unlimited datalink communications over all VHF and satellite networks with no per kilobit charges or satellite premiums and reliable, 24/7 technical support, powered by Honeywell . Omar Hosari, UAS Co-Owner/Founder and CEO said: “UAS is incredibly proud of the success we’ve had in promoting UAS LinkEvolution globally. We have been delivering cost-efficiency and reliability to operators since we began this partnership with Honeywell. we’re delighted to introduce Hongkong Jet to this technology and are confident their experience will be overwhelmingly positive." UAS International Trip Support is an award-winning, customized flight support solutions provider, serving customers globally. 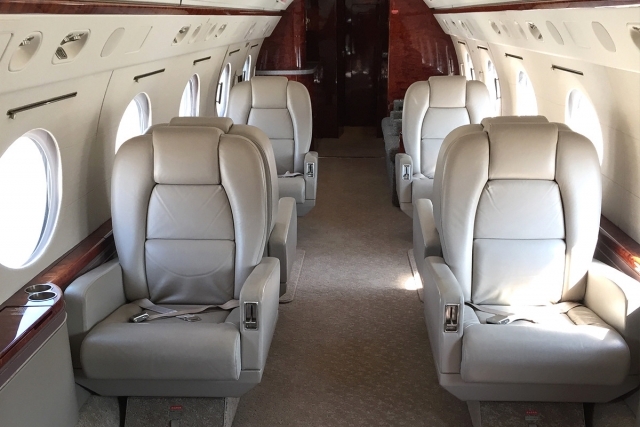 Offering a one-stop shop for all aviation needs including trip support, executive travel, and air charter needs, UAS is trusted by Heads of State, VVIPs, Fortune Global 500 companies, and business jet operators worldwide. Honeywell Aerospace products and services are found on virtually every commercial, defense and space aircraft. The Aerospace business unit builds aircraft engines, cockpit and cabin electronics, wireless connectivity systems, mechanical components and more. Its hardware and software solutions create more fuel-efficient aircraft, more direct and on-time flights and safer skies and airports. For more information, visit www.honeywell.com or follow @Honeywell_Aero. Honeywell ( www.honeywell.com ) is a Fortune 100 technology company that delivers industry specific solutions that include aerospace products and services; control technologies for buildings and industry; and performance materials globally. Our technologies help everything from aircraft, buildings, manufacturing plants, supply chains, and workers become more connected to make our world smarter, safer, and more sustainable. For more news and information on Honeywell, please visit www.honeywell.com/newsroom .